Back to School shopping can really make your wallet cry. Even if your kids aren't in school yet, you probably spend money on new clothes as each season passes. Natalie is starting kindergarten in a few weeks and Michaela Byrd will be starting preschool. If we weren't careful, we could break the bank on new clothes. 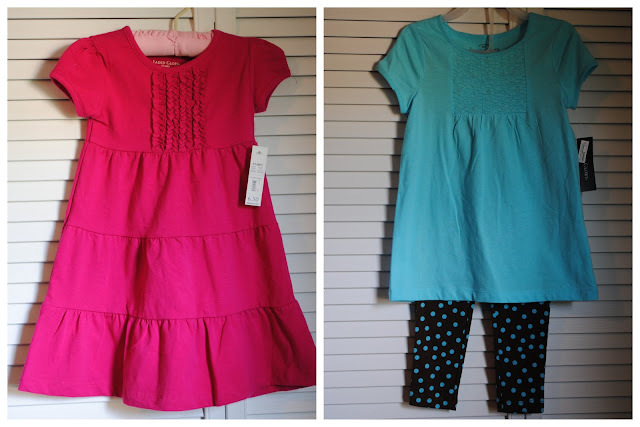 With the uncertain economy, my goal for this Fall was to find outfits for my girls that are cute, classic, and won't be worn by every single other little girl in their class. Unless the sizes look really picked through, don't pay full price if you can help it. And don't just buy something because "it'll do." Being willing to visit a few different shops and pay attention to prices can lead you to some great bargains. I am really picky when it comes to little girls' shoe styles, and I knew I wanted plain brown Mary Janes. After searching high and low (in both expensive shops and bargain stores), I came up empty handed. Everything had peace signs, glitter, or Hannah Montana on it. Then we happened upon a clearance rack in Target with brown Mary Janes for just $4.98. They had my girls' sizes, so I tossed them in the cart. I like them because the embellishment (just a small leather flower) is not overbearing, and they seem very sturdy. Most of our Target shoes hold up very well. In addition to checking the Sunday newspaper circulars, I also signed up for several email newsletters. Kohls emailed me a 15% off coupon, which I paired with a $10 "gift card" they mailed me, and huge store discounts. Every item I picked up was marked 40-55% off. I ended up saving over $200 because I paid attention to what Kohls had to offer me. You may find a better deal or something much cuter later on. Hold on to your receipt to make returns less of a hassle. I've been hunting for some plain Keds-like shoes for Michaela Byrd, and bought these purple glittery ones at Kohls. I'm keeping my receipt in case something better comes along. The cashier was also able to use a previous receipt to look up some unused Kohls Cash I had and added it to my coupon/discounts to take even more off my total! It's one thing to get the store's email and set it aside. But you have to actually plan and follow through when you hear about those great deals. I planned ahead when Virginia had Tax Free Weekend. I made sure to double up those tax free purchases with store bargains like discounts on jeans, "Gym Bucks," and BOGO. A local department store manager also invited Natalie to participate in a Fall Fashion Show, and they offered shoppers a special discount that day. Scheduling Natalie for a fun fashion morning paid off...many of the Fall dresses and outfits we took home for both girls ended up being close to 75% off! We each have our favorite horror story of shopping in the big box discount retailers. 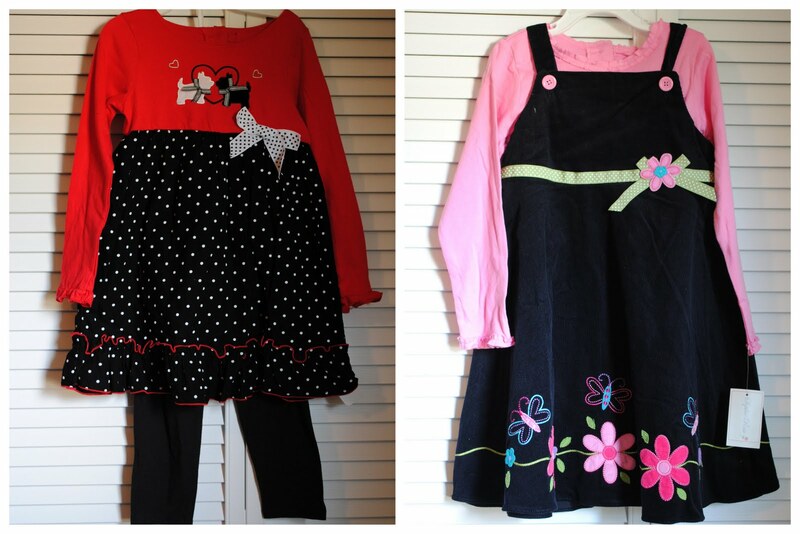 If you are willing to dig past the 72 Dora and Disney Princess rhinestone studded t-shirts (particularly at Wal-Mart), you can find some suitable pieces, like these. Consignment sales are also great, but I've done so well so far, I don't need to rely on the big consignment sale for "staples." I found the adorable little ruffled cotton dress for Michaela Byrd at our local Wal-Mart for just $6.50. It will be great during these warmer Fall months, and we can easily pair it with tights and a sweater when it gets cooler. Natalie's leggings and short-sleeved t-shirt are perfect for a busy kindergartner. To keep mix and match outfits from being too plain, we dress them up with extra special hair bows or clips, and maybe a cute necklace or two. Adults are much easier to shop for as we can (hopefully) wear the same size as the previous year. It's hard for me to resist, so I usually do add a few trendy pieces to my wardrobe each season, knowing they'll eventually make their way to the donation bin unlike their classic closet relations. I'm pairing this uber-affordable Old Navy cardigan with skinny jeans and adorable Oxford "shooties" from Payless. I love that I can embrace a trend or two without feeling guilty for overspending. Add a gold cuff bracelet and some gold earrings, and I'm set! And as for T, despite my best efforts, he is happy so long as he has clean dress pants for work and some jeans to wear when he is home. After 10 years of marriage, I have learned that trying to make him into my own personal Ken doll doesn't yield great results. So, there you have it. Some of the best ways I've found to save on Fall clothes this year. 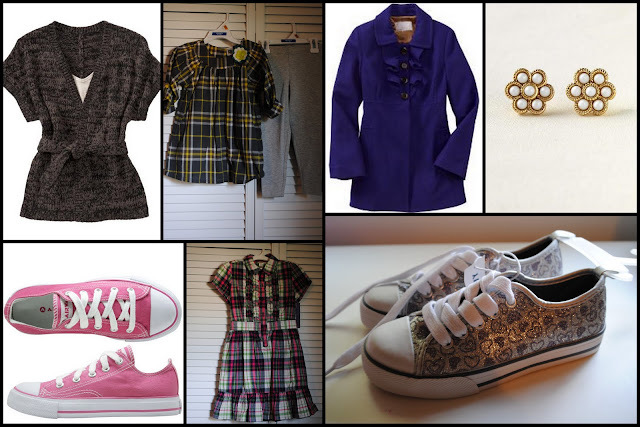 What are your best shopping tips for Back to School Clothes? If you have a chance, visit Courtney's first day of a Back to School Week series over at Courtney Out Loud, and please tell him I sent you! He's got a great series going on this week! love that sweater from old navy! i have to go look for it. getting 4 girls ready for school can definitely break the bank!! we head straight to the clearance/sale racks, use coupons and i am on the email lists for the stores we like so we get coupons and sale updates. Adorable outfits Amanda! I love when things can do double duty and carry into the next season. We are into our 3rd week of school, 95+ degree heat, and trying to find "appropriate" things for a teen is super hard these days. Kate is very modest fortunately! Love the outfit you put together for yourself as well. Might have to go take a look see at those shoes! Your girls are going to be the best dressed kids in school! You got some adorable outfits! 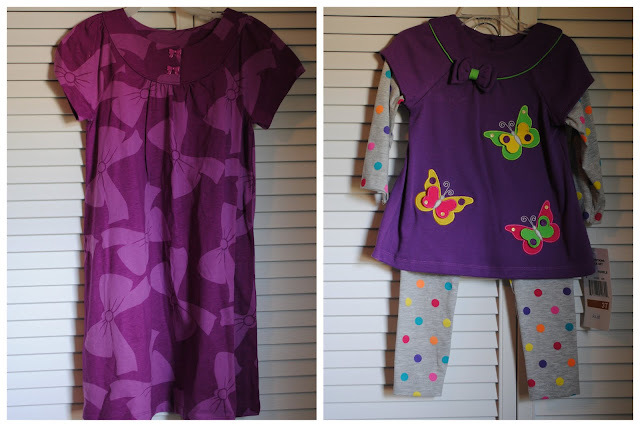 Some of the ways I save on kids clothes are end of season sales (for next year) and thrift or consignment stores. Last year one of my boys grew out of his jeans in the middle of the school year. My first stop was the thrift store, where I found two practically brand new pairs of jeans in his size for $3 each. 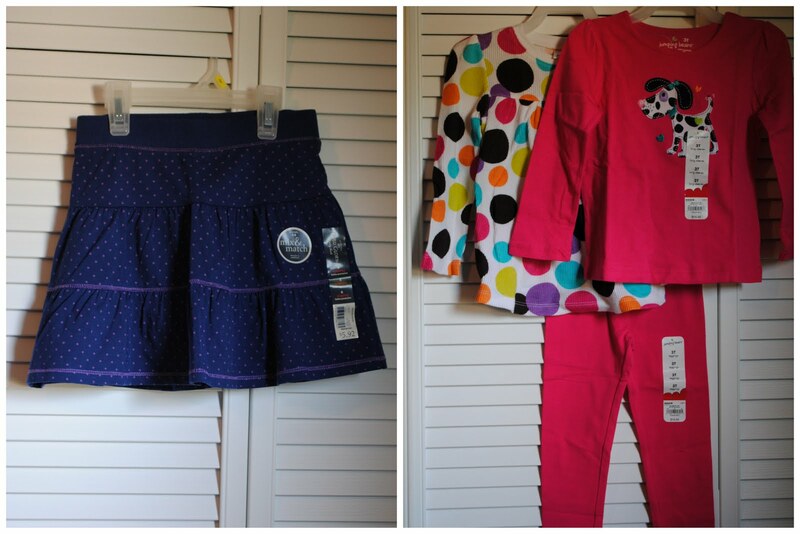 I shop for my youngest at Once Upon a Child. My teenagers shop at Plato's Closet. Me - I shop at Clothes Mentor. They're all resale shops under the same umbrella. Great clothing at fabulous (cheap) prices. LOVE saving money like that. Great post Amanda. I LOVE getting clothes for a steal! I pretty much NEVER pay full price for anything. In the past month I've snagged 3 pairs of Lucky Brand Jeans for my 13 year old from a consignment shop. Total to buy brand new over $300!!! My total just under $30! LOVE that! And just on Friday I was out getting uniform clothes for my youngest, she's starting kindergarten too. We got a pair of navy pants from Children's Place on sale for $18. Of course three stores later, I'm in Old Navy where they're on for $10. I bought two pairs and returned the other ones before we even left the mall. I love getting a coupon in the mail or online...it is the only way I will go shopping at the mall now! Usually I do most of my kids shopping at Goodwill. It definitely takes more time and patience but the cost is well worth it! It always amazes me what I can find there...tons of name brand stuff. Some still have the tags still on it! It looks like you got your girls some great items and saved your wallet some money too:-) Win win in my book! Such great tips! We don't have kids, but I could definitely see how easily back-to-school shopping could break the bank. You did GREAT! I, too, take full advantage of both tax free weekend and those $10 off coupons from Kohl's and JCPenney. I do get a lot of basics from Target and embellish with appliques, etc. I, also, get a lot of jeans from our big consignment sale. Those are fabulous tips! They apply to adults too! i.e. make several outfits from one purchase, etc. Thanks! This was such an interesting post. I haven't done any back to school shopping yet (I am so far behind with moving), I think you are very organized and scored some great deals--your girls will look great. You inspireed me, I need to get motivated!!! Good luck with back to school! My daughter goes tomorrow for Pre-K! Exciting but a little hard to believe. A Kohl's is being built within walking distance of our house - I can't wait to take advantage of their sales. We do a lot of consignment, a lot of Target, and a handful of boutique items. I love mini Boden and buy one or two outfits for the following year at their online clearance sale twice a year. I always enjoy your shopping posts and love to see the cute outfits that you've found for your girls. A little effort on your part saved your family big money. I love YOUR new back to school outfit. I haven't been to Payless or ON in a while and I can see that it's time to check out fall at those stores. Shopping for my granddaughters I visited out of the way boutique stores and found some great bargains. Don't be afraid to visit them. Cool stuff too!! Love the outfit you created. Especially the shoes from Payless. 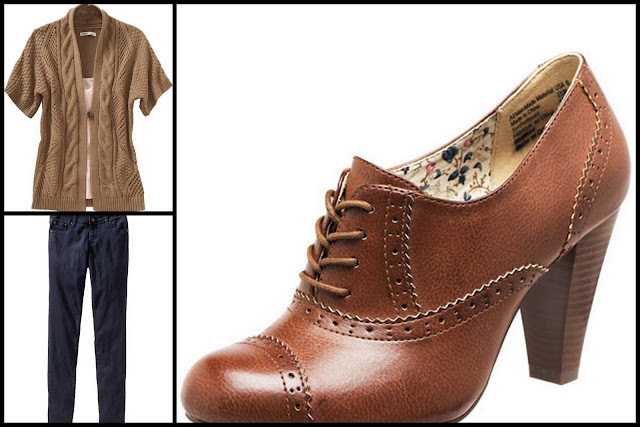 Love it so much I was inspired to put together my own fall wardrobe!